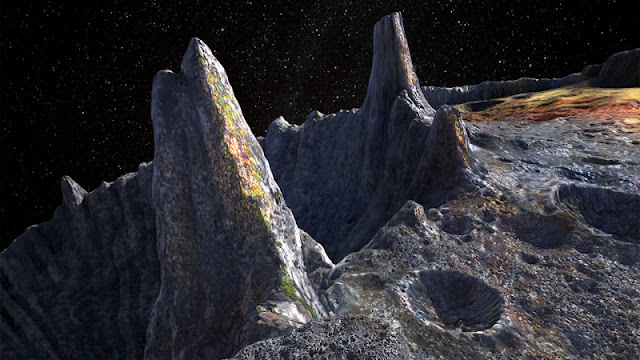 "We’ve never had an opportunity to look at a metal world, so this is brand new exploration in the classic style of NASA,” says David Oh, the mission’s lead project systems engineer.NASA is testing a leading-edge propulsion system intended for a deep space mission to Psyche, a strange metal world located in the asteroid belt, which to be made up of nickel and iron, not rock and ice like most worlds. Researchers at Arizona State University, in partnership with NASA’s Jet Propulsion Laboratory believe that Psyche might actually be the exposed core of an early planet, now floating in the asteroid belt. Discovering how Psyche came to be could help scientists learn more about our own planet — which also has a metal core but is difficult to study below Earth’s rocky mantles and crusts. "16 Psyche is the only known object of its kind in the solar system, and this is the only way humans will ever visit a core. We learn about inner space by visiting outer space," said This is an opportunity to explore a new type of world — not one of rock or ice, but of metal," Lindy Elkins-Tanton, Psyche's principal investigator said in a statement.While NASA has no plans to bring the massive asteroid home and lacks the technology to mine it, Elkins-Tanton calculates that the iron in 16 Psyche would be worth $10,000 quadrillion.“Psyche is a unique body because it is, by far, the largest metal asteroid out there; it’s about the size of Massachusetts,” said Oh.“By exploring Psyche, we’ll learn about the formation of the planets, how planetary cores are formed and, just as important, we’ll be exploring a new type of world. "Psyche, located in the asteroid belt, is different from millions of other asteroids because it appears to have a rare exposed nickel-iron surface. Researchers at Arizona State University, Tempe, in partnership with NASA's Jet Propulsion Laboratory in Pasadena, California, believe the asteroid could actually be the leftover core of an early planet. Psyche offers a rare look into the violent history of our solar system. "Psyche is a unique body because it is, by far, the largest metal asteroid out there; it's about the size of Massachusetts," said Oh. "By exploring Psyche, we'll learn about the formation of the planets, how planetary cores are formed and, just as important, we'll be exploring a new type of world. We've looked at worlds made of rock, ice and of gas, but we've never had an opportunity to look at a metal world. "But getting to Psyche won't be easy. It requires a cutting-edge propulsion system with exceptional performance, which is also safe, reliable and cost-effective. That's why the mission team has turned to NASA Glenn Research Center in Cleveland, which has been advancing solar electric propulsion (SEP) for decades.SEP thrusters use inert gases, like xenon, which are then energized by the electric power generated from onboard solar arrays to provide gentle, non-stop thrust. "For deep space missions, the type and amount of fuel required to propel a spacecraft is an important factor for mission planners," said Carol Tolbert, project manager for Psyche thruster testing at NASA Glenn. "A SEP system, like the one used for this mission, operates more efficiently than a conventional chemical propulsion system, which would be impractical for this type of mission. "The reduced fuel mass allows the mission to enter orbit around Psyche and provides additional space for all of the mission's scientific payload. Psyche's payload includes a multispectral imager, magnetometer, and gamma-ray spectrometer. These instruments will help the science team better understand the asteroid's origin, composition and history. Additional benefits of SEP are flexibility and robustness in the flight plan, which allow the spacecraft to arrive at Psyche much faster and more efficiently than it could using conventional propulsion.For this mission, the spacecraft, which will be built jointly by JPL and Space Systems Loral (SSL), will use the SPT-140 Hall effect thruster. Because Psyche is three times farther away from the Sun than Earth, flying there required a unique test of the low-power operation of the thruster in the very low pressures that will be encountered in space.Pysche’s mission team is working with the NASA Glenn Research Center in Cleveland, which has been developing solar electric propulsion (SEP) technology for decades. SEP thrusters use inert gases, energized by electric power from a spacecraft’s solar panels. For a far-away journey like the trip to Psyche, these types of thrusters could be mission-critical because they’ll require less fuel mass. "This mission will be the first to use a Hall effect thruster system beyond lunar orbit, so the tests here at Glenn, which had never been conducted before, were needed to ensure the thruster could perform and operate as expected in the deep space environment," said Tolbert.The facility at NASA Glenn has been a premier destination for electric propulsion and power system testing for over 40 years and features a number of space environment chambers, which simulate the vacuum and temperatures of space. "This was very important to the mission because we want to test-like-we-fly and fly-like-we-test," said Oh. "Glenn has a world-class facility that allowed us to go to very low pressures to simulate the environment the spacecraft will operate in and better understand how our thrusters will perform around Psyche. "At first glance, the results confirm our predictions regarding how the thruster will perform, and it looks like everything is working as expected. But, we will continue to refine our models by doing more analysis. "As the team works toward an anticipated August 2022 launch, they will use the data collected at NASA Glenn to update their thruster modeling and incorporate it into mission trajectories.The scientific goals of the Psyche mission are to understand the building blocks of planet formation and explore firsthand a wholly new and unexplored type of world. The mission team seeks to determine whether Psyche is the core of an early planet, how old it is, whether it formed in similar ways to Earth's core, and what its surface is like.